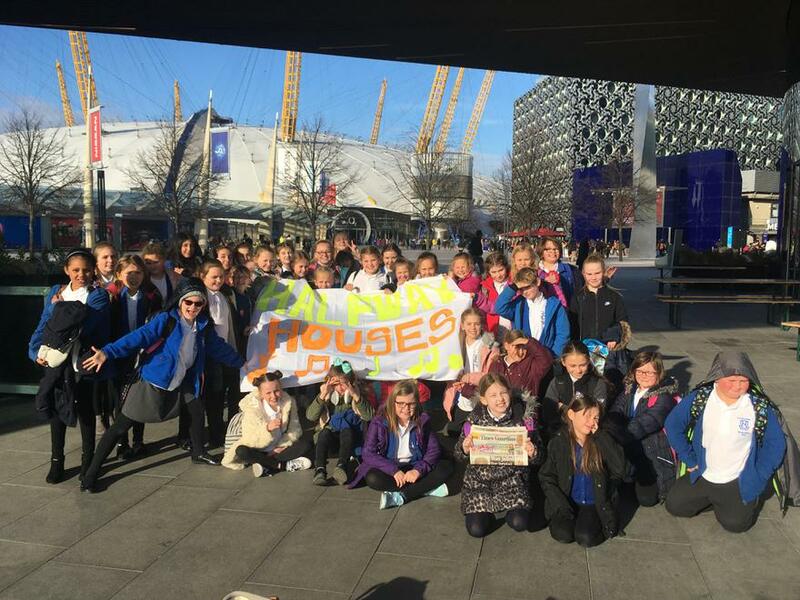 A group of 38 children from Halfway went to London’s O2 arena on Tuesday 6th February, to join a choir of nearly 9,000 children performing in the Young Voices concert. Mrs Fordyce said “They spent the afternoon learning dance moves and rehearsing with the other children, and then at 7pm the parents joined the audience. The children and parents had glow sticks so they could hopefully locate each other in amongst the thousands of people. The day was brilliant and the children loved it”. They took along the local newspaper and managed to get their photograph in the paper.